It is well known that energy efficiency retrofits of buildings provide attractive and stable financial returns through energy, water and operational cost savings over a long period of time. McKinsey estimates that $1.2 trillion in potential annual energy savings can be achieved through $520 billion of energy efficiency investments over the next decade. However, despite these attractive returns, and despite the rising tide of environmental awareness, many barriers prevent the market from capturing the savings. Chief among them is the scarcity of capital available to building owners to fund up-front project costs. In the wake of the recent financial crisis, competition for scarce capital within companies and institutions has intensified. Some organizations currently use operating leases or service agreement financing structures, enabling them to cover the up-front cost of energy efficiency retrofit projects without having to record the value of the project as a new asset and long-term liability on their balance sheet. In the current economic climate, off-balance-sheet financing will continue to be important in unlocking the full potential economic and environmental benefits of energy efficiency retrofits. Recently, the Financial Accounting Standards Board (FASB) and the International Accounting Standards Board (IASB) initiated a joint project to develop a new approach to lease accounting, whereby standards established under U.S. Generally Accepted Accounting Principles (U.S. GAAP) and overseen by FASB will be reconciled with the International Financial Reporting Standards (IFRS). The proposed new lease accounting approach outlined in FASB’s recently published exposure draft would ensure that assets and liabilities arising under all leases are recognized in the statement of financial position. In other words, the proposal aims to move all operating leases, which today are not “seen” on the balance sheet of a building owner, onto the balance sheet. Notably, the exposure draft posits that a contract that supplies the purchaser with all but an insignificant amount of the output of an asset, and specifies payments in terms of a fixed price per unit of output, is not a lease. Without strategic response by industry and policymakers, these proposed accounting changes may, unintentionally, slow the growth of the building retrofit market. 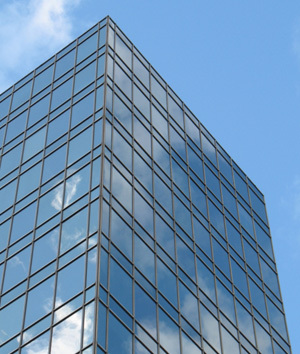 Elimination of operating leases and other service agreement financing structures may prevent building owners from making internal building improvements. That is because without such tools, they would need to rely on their own limited debt capacity, and an investment in an efficiency retrofit may not compete well with multiple other priorities. Building retrofit activity is already significantly lower than its economic market potential suggests it should be. The elimination of off-balance-sheet financing solutions may further stall activity in both public- and private-sector buildings. Drawing from Johnson Controls’ experience in helping customers arrange financing solutions for deep energy retrofits in existing buildings, the Institute for Building Efficiency has published an issue brief describing the potential impact of the new accounting standards. By bringing the potential ramifications of these changes to light, the Institute hopes to spur dialogue on strategies that energy service companies (ESCOs), financiers, and policymakers can employ to ensure continued growth in energy efficiency building retrofit activity. The Institute believes that to unleash the true growth potential of this market and accelerate investments in energy efficiency, off-balance-sheet financing needs to remain available to the private and institutional sectors. The issue brief can be downloaded in the “Resources” section above.